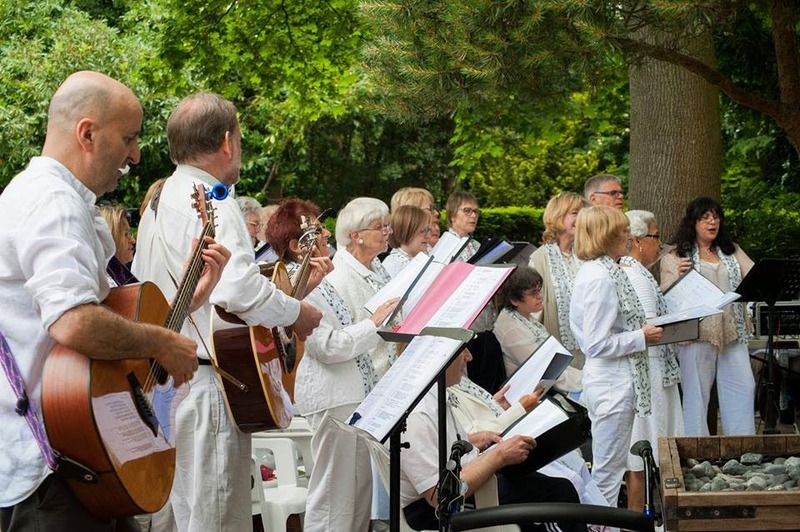 On Saturday 31 May, the George Harrison Garden at Bhaktivedanta Manor, UK was brought to life with the enchanting melodies of his music, as a local community choir performed a special concert in celebration of their tenth anniversary. 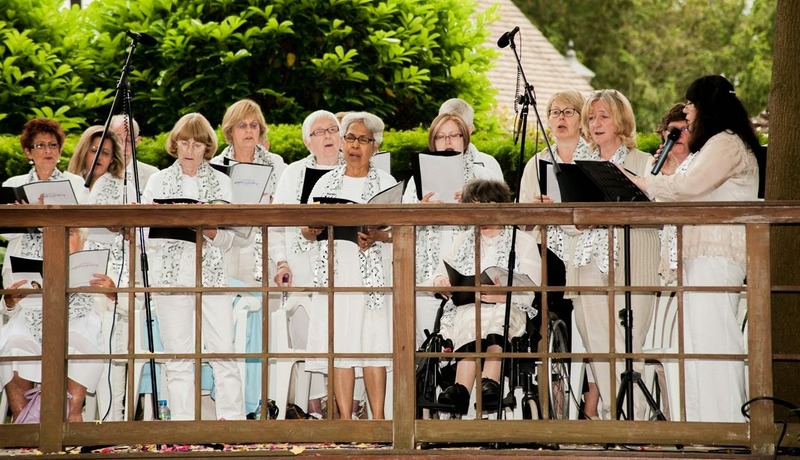 The Hertfordshire based choir, called ‘Com.unity’, was set up in 2004 for local people to participate in, particularly those that may be vulnerable, to come together and sing for pleasure. Most members have no previous singing experience or musical knowledge, and join without auditions or the need to read music. Priding itself on the diversity of its membership, the choir’s sixty members include wheelchair users, members of all faiths, culture and backgrounds. Their repertoire includes popular upbeat songs, with uplifting, themes such as friendship, unity, hope, courage and peace. Over the past ten years, the choir have performed at a number of high profile events, including the Royal Albert Hall, and for personalities such as Simon Cowell and Sir Roger Moore. 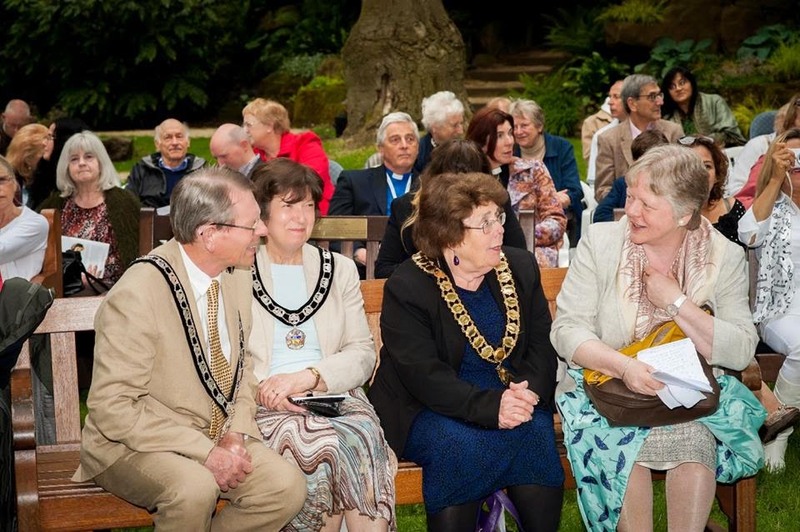 Attended by over a hundred people from the local community, including the Deputy Mayor of Hertsmere Cllr Carey Keates and Dr Harriet Crabtree, Director of the Interfaith Network, the event was a truly inspiring and magical evening for all. 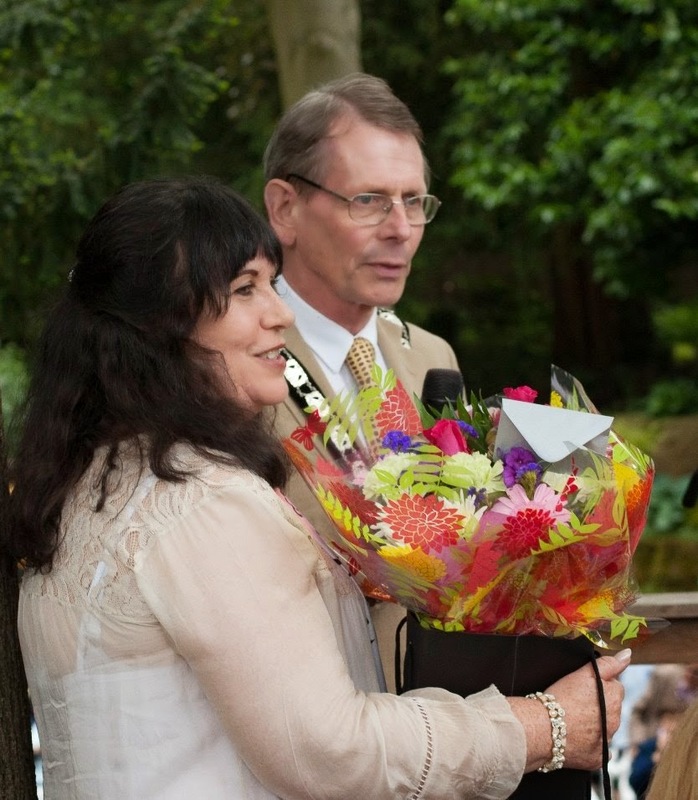 The event also served as a moving tribute to the great George Harrison, with his music brought to life by the lush surroundings of the woodland dell, in which the garden honouring his memory was built. The choir sang a selection of George Harrison’s songs, including ‘It is He Ji Sri Krishna’, ‘You are the One’ and of course, ‘My Sweet Lord’ which were specially picked because the lyrics from each song feature in the garden itself, as detailed engravings and structures. Situated in a small woodland dell on the sixty acres of Temple grounds, the garden is a place set aside for prayer and contemplation, to commemorate the friendship between the Beatle and the Hare Krishna movement. George Harrison played an integral role in establishing Bhaktivedanta Manor in 1973, and last year the Manor recently celebrated its 40th anniversary. “The Com.unity choir are a fantastic example of diversity in practice and a true testament of the power of music to unite people - it is very fitting that they have chosen to perform the music of George Harrison, which united the world through his messages of love and faith. ‘This was a wonderful event which really captured the hearts and imaginations of everyone present - we were truly honoured to host the local community choir’s tenth anniversary event. The Garden was the perfect setting because the choir brought the songs of George Harrison to life in the most profound and beautiful way.